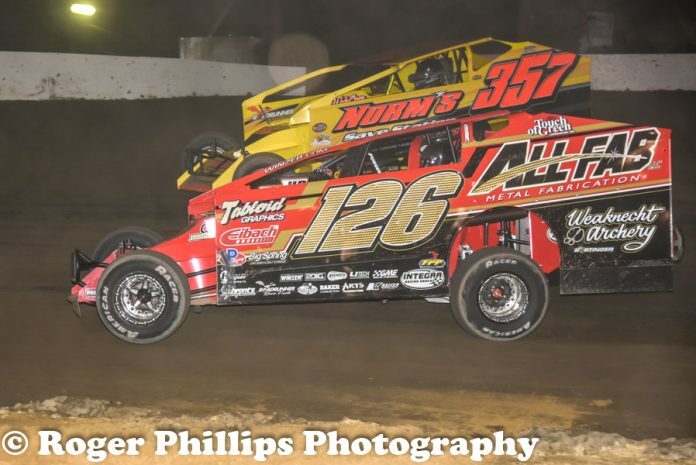 It has been a rocky start to the 2019 season for multiple-time Grandview Speedway track champion Jeff Strunk. Each time the Glenn Hyneman owned No. 126 has been to the track this year the results haven’t been up to their standards. Mechanical issues have sidelined their efforts. 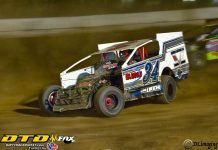 Saturday night they got back home to the Grandview Speedway and things finally turned around for the veteran combination. 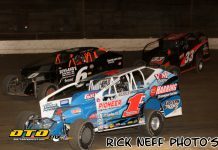 Strunk started the race from the inside of the fourth row alongside eventual winner Matt Sheppard. He went on to finish in the runner-up spot. Strunk was nearly one spot better but a mid-race restart in which he was able to get the jump on Sheppard was called back after a caution. On the next start Sheppard wasn’t going to give him another open look at the lead. From that point Strunk got in line on the top as it was the preferred groove for much of the 50-lap battle. So although it wasn’t the win Strunk was looking for, it was a step that will get him and his team back on track.